Chivas Regal had little presence or recognition among U.S. Hispanics. On the other hand, Mexican rock band Maná was hugely popular among that audience. So when the whiskey brand and agency Epsilon wanted to boost its profile among Hispanics, a partnership with Maná made perfect sense. 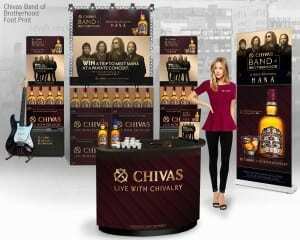 The band’s popularity—it has topped the charts throughout Latin America for more than 20 years—wasn’t the only reason Chivas Regal teamed with Maná, however. The group is known for its sense of comradery and cultural pride, qualities Chivas Regal wanted to tap into for its campaign: Its target market of bicultural Hispanic males 28 to 35 years old, so-called Ambitious Socials, value the spirit of brotherhood and enjoy sharing the finer things in life with their friends. 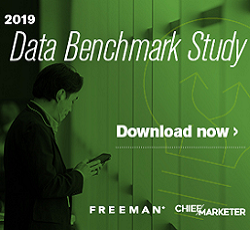 The first six months of the campaign generated more than 50,000 new Facebook followers for the brand, which received 59,000 sweepstakes entries, more than it had received for any previous campaign. In-store displays featuring Maná increased sales velocity by 272% compared with non-Maná displays—music to the ears of Chivas Regal executives.